In writing about food, it teeters on cliché to reference the Proustian moment—that flash when, at the beginning of A Remembrance of Things Past, a mouthful of tea and madeleine initiates a whole-body experience of nostalgia (as well as a one of the world’s most famously unread works of literature). 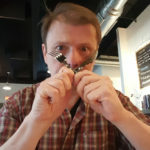 But, as we know, cliché is truth overused, and though a bite of even the most delicious madeleine does nothing to stir my memory, a doughnut takes me on a long and bumpy ride. My relationship with doughnuts begins in a frying pan. It’s the very first memory of doughnuts I have—a Krispy Kreme, leftover and stale, absorbing new life and calories while bathing in pan of sizzling butter. Then comes a flash of a late night with the college crew and my initiation into the sensual, midnight mysteries of the “Hot Doughnuts Now” sign. Faces come with these memories and so do the pains of unrequited love, and a longing for the intense and inseparable friendships of youth. So you will understand, I hope, how a poor country boy like me can find himself comparing all doughnuts to the one that evokes memories from every stage of my life. I have a powerful doughnut bias that’s not my fault. But my bias didn’t work to prevent me from enjoying any of the vast number of doughnuts frying in our city. But, try as I might to love every one, I couldn’t quite shake my love of simplicity in this particular sweet. 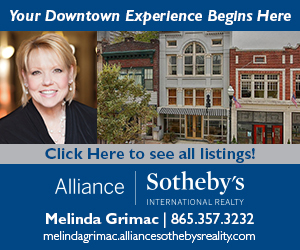 Although I’ve eaten enough doughnuts to break my belt, I tried to stick to the basics and, despite my fondness for the surrounding area, particularly East Maryville and Eagleton, I didn’t include some very worthy shops outside Knoxville. 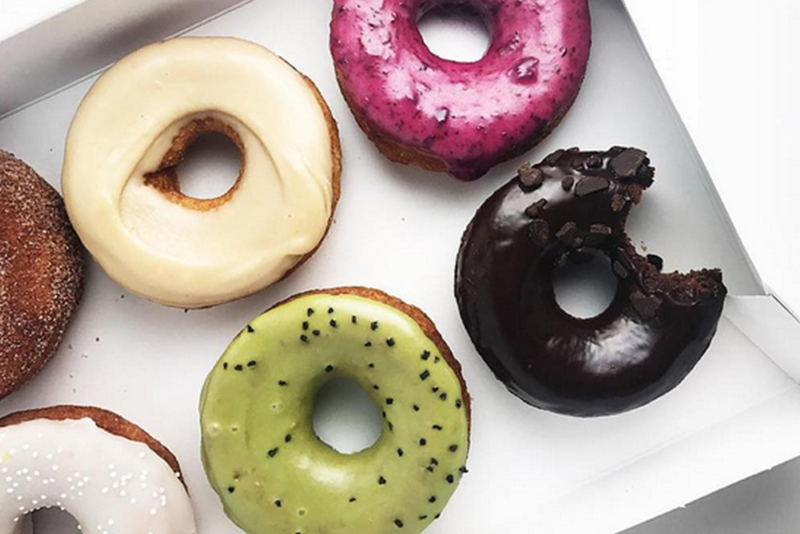 At Maker’s Donuts (804 Tyson St.), one of the city’s modern hole-y pioneers, cake doughnuts are fried and then crowned with toppings from hipster flavor heaven—matcha and bacon may be the nectar and ambrosia of the modern age. And perhaps my age is catching up with me, but some of these flavors look a little like the Emperor’s new clothes—I’m not sure they add much beyond the quick thrill of the name itself. Certainly, the idea of bacon is titillating, but here I wasn’t sure that its contribution gave me enough pleasure for the additional caloric weight. The maple glaze alone, however, added a fine layer of flavor that complemented both the taste and texture of the crispy bite of cake without any of the distractions that come of tiny bits of limp bacon fat. 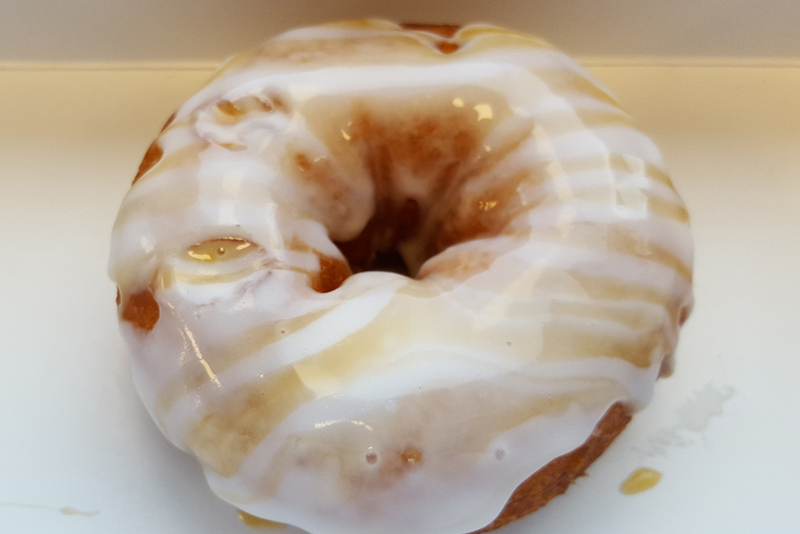 The same wonder comes from the very simple pleasures of a vanilla-bean glazed doughnut wherein the tender crack of the glaze is followed by the light crunch of the fried cake, all bound together by the warm aroma of vanilla and its concomitant memories of mom’s kitchen. Yum. The only kvetch I have with Maker’s is that they’ve been out of coffee when I’ve visited. Of course, I could walk next door to the adjacent coffee shop, Remedy—but then, couldn’t they? Perhaps it’s the ornery country boy emerging, but doughnut shops should have coffee in-house, all the time. Especially if there’s a coffee and doughnut special on the menu. 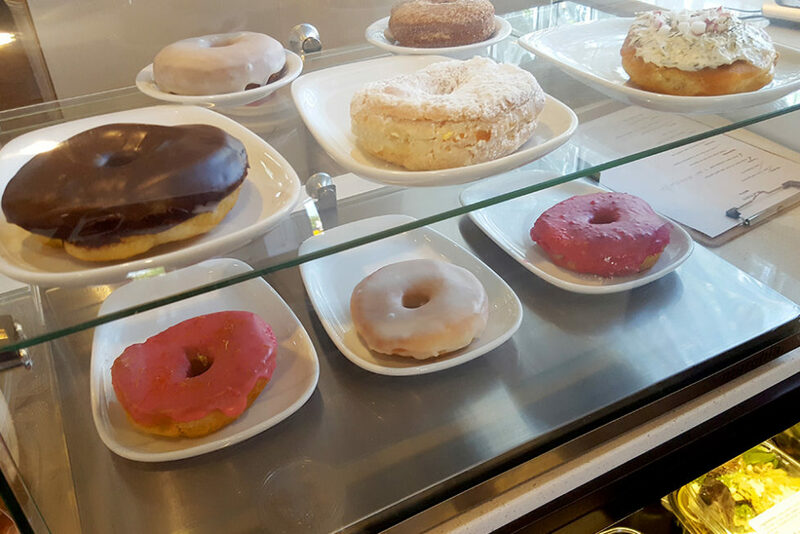 Besides, if I choose to eat my doughnut on-premise, I’m really there for the total atmosphere, and that includes the aroma of the place. Let me have it all, please—the smell of all the cake and perking coffee, too. Duck Donuts (6104 Kingston Pike) has coffee and gets very, very high marks from lots of folks I know, which is why, despite the corporate parentage, I included it. But I’m not sure that their product even qualifies as a doughnut since it’s nearly impossible to eat with your hands. It’s a vanilla cake doughnut, freshly fried and then coated, drizzled, and sprinkled to order. There are at least 20 different options to personalize your treat and they’re available every day the place is open—so you don’t have to wait for your strawberry, bacon, hot fudge combo to show up on the specials list. But by the time you’ve saturated the thing with a glaze of salted caramel or whatnot, woe betide the white-shirted eater who tries to pick it up. There are spoons handy, but that just feels wrong. And all that stuff makes the bite so sweet that the flavors muddle and become a sugary goop—heavy, nearly listless on the palate. Of course, you can skip the rainbow sprinkle and hot fudge drizzle and stick to the plain doughnut, but, even then after the initial crunch of the exterior, there’s overly moist vanilla cake that’s too fragile to stay together for manual appreciation. And forget about dunking this thing; that makes me sad. That’s not an issue at Honey Bee Coffee (700 Sevier Ave. and 10716 Kingston Pike) where the doughnuts are a much more sturdy bite. Though the density is a little much for my dough druthers, the sweetness is well balanced and the glaze gives the nice bump of dulcet pleasure that it’s supposed to do. A vanilla iced cake doughnut didn’t have the crispy exterior that I’ve come to love, but this may be a better example of the traditional cake doughnut—it certainly had a tender crumb but was sufficiently (and happily) sturdy to stand a quick dunk in my very excellent coffee. I wasn’t as taken with their raised doughnut—mostly because I ordered one with a raspberry glaze that was overly seedy yet still tasted more of powdered sugar than berries despite the vibrant redness of its hue. 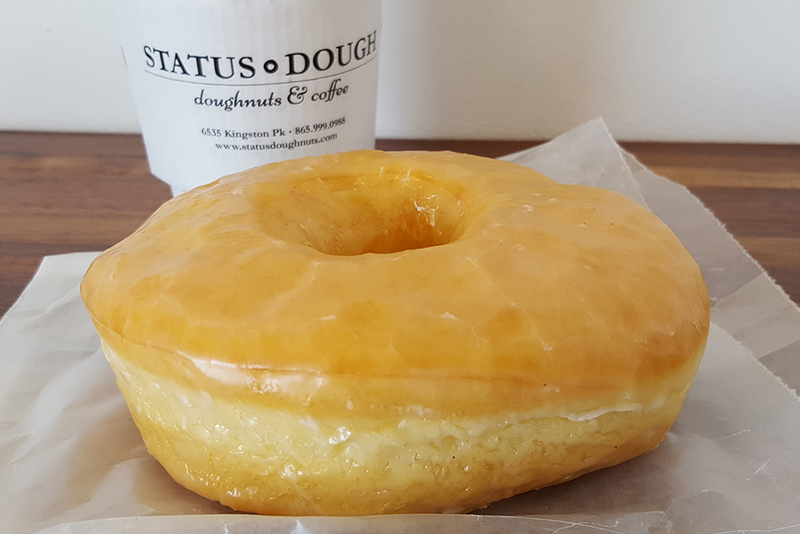 The only doughnut that made me do backflips belonged to Status Dough on Bearden Hill (6535 Kingston Pike). Their old-fashioned cake doughnut had a craggy top, with crispy bites that were draped in a light glaze. The combination of the crisp shell and the fine crumb made a texturally thrilling bite that created an instant craving for another. I don’t know if an apple fritter qualifies as a doughnut, but it was my favorite out of everything I tried during the course of my research, owing to its varied texture: the nearly egg-shell like crispness of its glaze, a crunchy exterior, the toothsome interior, and pops of apple throughout. As it was at every stop, a simple glazed doughnut here was good but failed to elicit the quiet sighs of delight or the low rumple of “mmms” that mark a good doughnut experience for me. I think it’s because they have more substance, a bit more chew, and certainly a bigger mouth presence than the delicate bite that informs my ancient prejudicial standards for glazed doughnuts. Memory is powerful charm, and the flavors it creates, and amplifies, are often too good to be true. So I didn’t revisit my old haunt to check in lest I be caught up in remembrance. I still love the “Hot Doughnuts Now” sign—it sometimes calls to me in my sleep—and there are plenty of people to support that business. So, unless you’re buying, I’ll be spending my sweet allowance looking to make new memories with locals. It’s a rare and wonderful treat to create relationships with local businesses that are tuned in to the city itself. After all, these kinds of shops drive the cool, hip, chill, hype, whatever-you-call-it factor that has made Knoxville the beautiful place it is today. And despite my frequent and loving jabs at hipster culture and my complaints about the proliferation of booze and sugar shops, the truth of the matter is that I count myself lucky to live in a city where these things can find support and sustenance. It’s been my pleasure to be a part of this conversation. And as this is my final column for the Mercury, perhaps I’ll have a new bias to fuel my doughnut craving now that this paper I love will soon be a remembrance of things past. Thanks for reading, thanks for eating, and thanks for all the food.